Two weeks ago, we asked you for nominations for the neighborhood's best brunch spot. Last week, we asked you to vote on our poll. Today, we're crowning the winner. 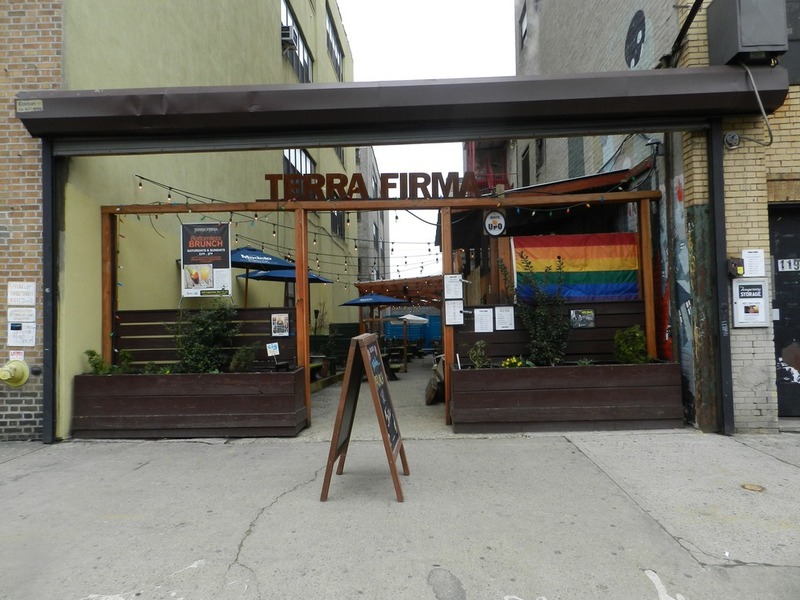 Terra Firma is Bushwick's best brunch spot! For very important journalistic research purposes, I visited Terra Firma for the first time and oh boy do I get the hype. 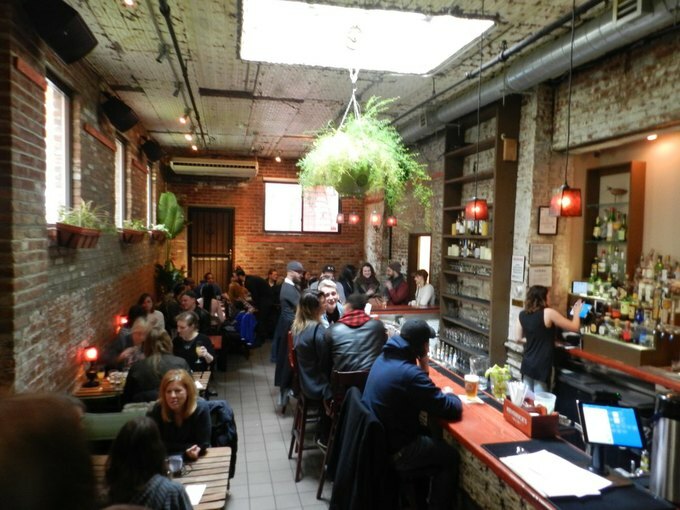 The atmosphere is an exposed brick and hanging plant lover's dream. I was greeted by a lovely staff and was seated quickly, despite the place being very busy with Sunday afternoon brunch traffic. One of the best features of Terra Firma's brunch is their $15 bottomless mimosa special, which is definitely the most affordable brunch special I've encountered in a long while. 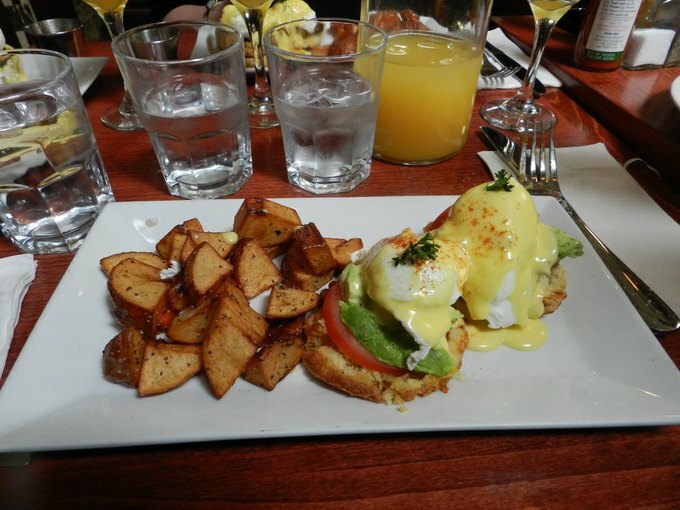 With regard to food, I ordered the avocado eggs benedict after much deliberation. It came with home fries that I can describe as nothing short of marvelous. The eggs were poached to perfection and gracefully placed atop a bed of avocado, tomato slices and the crispiest english muffin I have ever had. When I say that an entree gave me goosebumps, I know it's good. After I was done ascending to a mimosa-aided brunch heaven, I asked Tom Beaulieu, one of Terra Firma's owners, how it felt to win Bushwick's best brunch title. "It feels great!" he said. 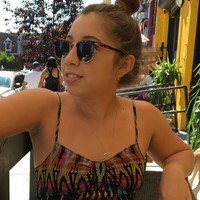 "We go all out promoting our spot on social media, so it feels nice to be recognized." My only regret is not going on a nice warm day to take advantage of Terra Firma's spacious outdoor seating area. Even in the grey, windy wasteland of late March, Terra Firma shines like an East Williamsburg brunch beacon. I'll definitely have to go back. You don't have to take my word for it though, Terra Firma is open for business Tuesday through Sunday for brunch and dinner. Cozy eatery with a huge patio. Follow Terra Firma on Facebook, Instagram and Twitter. All images courtesy by Jacque Medina for Bushwick Daily.